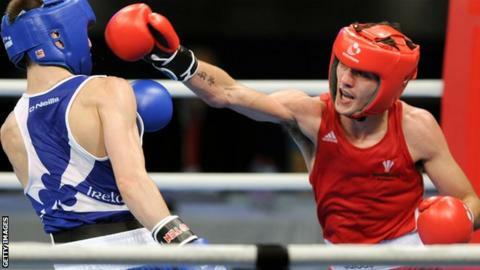 Andrew Selby and Fred Evans will be available to represent Wales at this summer's Commonwealth Games. The pair were expected to miss Glasgow 2014 because of their commitments with the International Boxing Association's new Pro Boxing competition. But the start of the event has been delayed until October. The competition allows boxers to compete on a professional basis while also remaining eligible to compete at the Olympic Games. However, there had been no provision for competitors to compete at the Commonwealth Games. Evans, 23, won a silver medal at London 2012, Wales' first Olympic boxing medal since 1972 and is a former European welterweight champion. Fellow Olympian Selby, 25, became the first British fighter to defend a European amateur boxing title after winning flyweight gold in June 2013.